It’s been a week of social metrics and measurement for me. On day one of this week’s Social Media World Forum, held at Olympia in London, I sat in no less than four different sessions on measuring the value of social. Another discussion this morning, hosted by Waggener Edstrom on social advertising, took a similar line. I thought it might be helpful to collate some of the quotes, learnings and case studies that were mentioned, to act as further reading or perhaps inspire new models for social media measurement. eBay’s Sudha Jamthe wrote a great piece on GigaOm last month on key social metrics, which supports Cathy’s suggestions above. He includes: social media revenue conversion, which measures how many people become customers through social media referral channels. Facebook engagement, which measures a brand’s ability to communicate successfully with their customers on the social network, and social customer support metrics – which measures the impact of customer support on brand health and the cost of staffing a social support programme. IBM’s just released a really interesting report called From Social Media To Social CRM (covered here by Ron Shevlin), which includes a diagram on the disconnect between why people connect with brands in social – and why brands think it happens. The Social Media Research Foundation released interesting findings at the Local Social Summit last November, focusing on a tool called NodeXL that uses Excel spreadsheets to allow anyone who has data on people talking about something in the social space to create a map of the relationships between them. NextAnalytics is another spreadsheet-based tool that allows Excel to build and distribute custom social reports, search marketer Ann Smarty also wrote a great overview of measurement spreadsheets last month. iProspect has created a Facebook Engagement Index that combines the number of “likes” a brand has with data from the “people talking about this” metric. It’s not perfect, but it’s an up-to-date initial benchmark for larger brands. first direct is writing up its experience evaluating the value of PR and social for us, in which it’s using a model borrowed from the public sector. Is your SEO costing a fortune and not providing any return? This is where solution-based SEO comes into play, and nearly any business can beef up its search rankings simply by thinking outside the box. All too often, business owners insist on overloading their keyword strategy with industry jargon keywords. 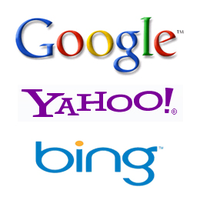 They assume that everyone is searching for their business in the exact same way that they are searching. But, the fact of the matter is that everyone searches differently. Some people will search by industry jargon, some with long phrases, others with single words. Some people ask a question, while others are searching for a solution to a problem and are not really sure what exactly it is that they are looking for. There’s clearly no secret formula for viral success otherwise we’d all be doing it. In fact, there’s nothing worse than a client briefing an agency to devise a viral campaign as it completely misses the point about how good ideas are generated. A viral campaign is a desired outcome, not the basis for developing break-through campaigns or memes. That said, there are definite skills, techniques and approaches which we can deploy to improve our chances of viral success. In fact, Propagation Planning is a relatively new school of thought which is dedicated to this very concept. In theory, the more we understand how communities behave and share ideas, the better we’ll get at creating compelling advertising campaigns which self-propagate. As Griffin Farley, Strategy Director from BBH succinctly puts it “Plan not for the people you reach, but for the people they reach”. Facebook is offering free consultation to US automotive companies to help manage directory information and generate leads for local franchises. The consultation comes as brands seek to improve coordination between brand and local franchise search results, and also to optimise social media pages for mobile search.